Please make sure this is the correct part before buying. 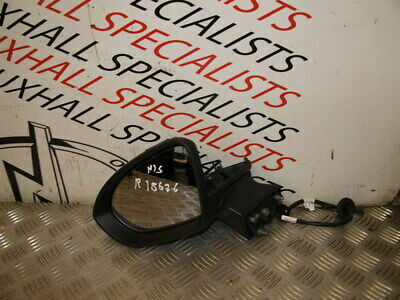 In this product page you can see a VAUXHALL ASTRA K 16-ON N/S DOOR WING MIRROR 39176293 18676 *WITHOUT COVER that will fit a and any of the vehicles in the compatibility list. This vehicle part is a Used part, so please ensure it is the right one before buying.